To be honest, it surprised me somewhat. The way the little guy was throwing himself at his mom. His mom didn’t seem to mind it much and brushed it all off. He was young and cute and it was all harmless now. And it’s true, her son was adorable. But smacking at your mom? Not so cute. Not ever in my book. I’m not saying that I’d get all worked up over it. I’m just saying that I wouldn’t allow it. But there are other ways to show disrespect to your mom. More subtle, but equally unacceptable. Like the young girl who was mocking her mother for having forgotten an item at home. All said with a slight sneer. She was another cutie, complete with pigtails and bouncy air. But darlin’, there’s nothing sweet about sassing your mom like that. No ma’am! Please don’t misunderstand me. 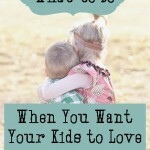 I’m not an uptight mom and I have lots of fun with our kids. We often play and joke around together! But I do expect our children to show me respect—and they know it. “Respect” has somehow fallen out of favor in this present generation. With the emphasis on freedom and feeling, there’s just not a lot of teaching on courtesy and respect for parents. Yet honoring your father and your mother is a timeless truth and shouldn’t be based on the current cultural trend. Our children need to learn how to respect us, for their own sake as well as our own. And here’s why . . .
1. The Bible says that our children are to honor their mother (and father). So when I’m teaching them to show respect to me? I’m helping them obey God and enjoy the blessings that come with obedience. 2. 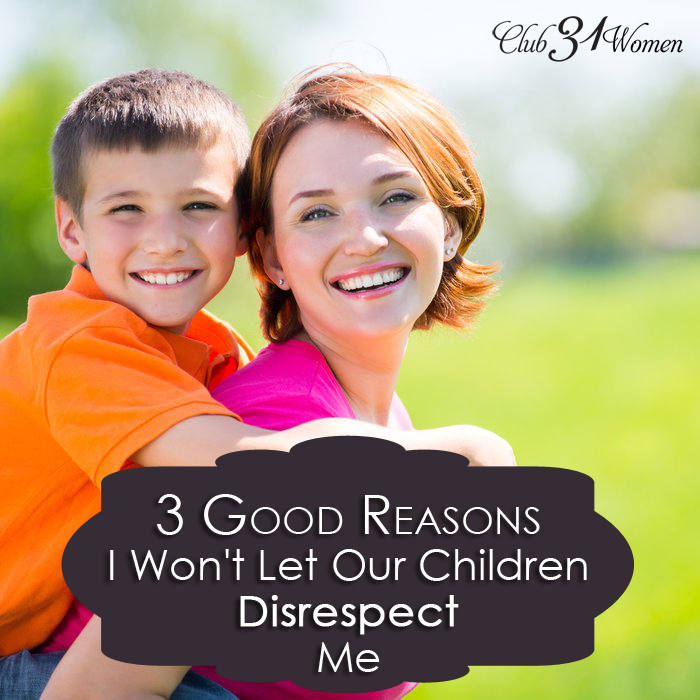 By respecting me, our children are learning to respect others in the future. Showing respect is such a beautiful and powerful skill that will benefit them – and others – for the rest of their lives. They’re also learning how to respect their bosses at work someday, their future spouses, and their neighbor next door. 3. Respect does as much for the child, as it does for the parent. Teaching our children to respect me is less about what I need or want, than it is about teaching our kids the security and strength of respecting others. This value for respect was confirmed when our oldest son mentioned it as one of the best things he’d learned at home: 9 Things I’d Say My Mom Got Right. This lesson is one that will help our children far into the future. * What would you consider as “respectful”? While everyone’s definition might vary a bit, in our home that means no smacking, striking, or swinging of any kind. Also, our kids need to use a tone that is in keeping with my role as their mom, such as no yelling or sassing or snarling. They’re required to use respectful vocabulary and refrain from insults or inappropriate language of any kind. * How do you handle disrespect when it happens? *What do you do to encourage your children to show you respect? Good question! For one, I try to be someone who merits respect – not perfect or amazing – but simply a person who takes to heart her position as mother. Also, I try to make it a point of not getting “down to their level” if they choose to act or speak disrespectfully. Yelling back at them or being ugly in return doesn’t help them to respect me more, but rather less. Keep your tone civil, and even gracious, as you insist they address you in a respectful manner. So what do you say? Let’s pass on to this next generation the beauty – and blessing – of showing respect to parents! *Any further thoughts or questions about children respecting their parents? I love hearing from you! How Do You Plan to Help Your Kids Become Respectful? This is great advice. What do advise when a husband allows disrespect? I’m struggling because my husband allows our teenage sons to be disrespected to me right in front of him, so much so that they look right at him while they do it and he does nothing. I think he actually likes it because he feels closer to them. I’m not sure what I am supposed to to in that situation and it makes me so sad that this is how he is teaching them to treat women. What do you do for teenagers? I have a daily battle with my girls. They are so sarcastic and rude tones of voices. I do correct them but doesn’t seem to get any better. I’d correct them and remove privileges if I have to. I’d try not to get in a “tussle” with them, but give a warning and let them know what the consequences will be if they don’t change their tone. I’d also pray a lot! I have a question! 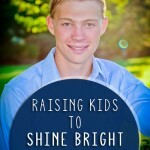 What would you suggest in any aspects of teaching respect when dealing with a step-child? I very much so agree that respect is one of the most crucial things in a home. I expect and receieve respect from my daughter, but as with any stepchild who has a mother that doesn’t care for you, i have come across a few problems with teaching my stepdaughter to respect me as a mother in her life. Even if it is the role of step-mother . I know I am just a responder and not the author but I would absolutley re-verbalize her advice above. First of all be a step mother worthy of respect, gently and graciously stop and correct her with a “that is not appropriate respect for the wife of your father,” and follow it up with a “do-over”. Gradually change happens. Most importantly, don’t play favorites and never EVER throw up to her how well your child behaves toward you as an example. Make it about her and only her. Thank you for the advice, Tracy. I would have said much the same thing! Oh yes! This was great! It is so helpful when your husband is on the same page as you and will stand up to your kids and make a point of firmly saying that is not how we speak to your mother. Josh has always stood up for me in that area. Not that my kids do it on purpose or even mean to. But you know how it is, a slip of the tongue or sarcasm can quickly become habit if not nipped in the bud. Both parents have to be on the same page otherwise, there will be constant undermining. We both support the other on this one and, you’re right, it makes a big difference! I saw your response to Jami Balmet about her 2 year old twins, but I’m wondering about even younger. My son is 10.5 months and he’s JUST now starting to pitch little “mini-fits” or smack at me when he’s upset. I’ve just tried to calmly but firmly say “No”, and sometimes even take his hand and hold it still while I say no. Then when he calms I just cuddle him and say “Much better, good job”. He has learned the word “no” as far as not getting in the trash cans, outlets, cords, etc. so I think he’s doing really well. I’m just wondering if you think this is an effective way to handle these things for now, or if there’s a better way? I’m also 5 months pregnant, so I guess I just really want to be on top of things so that life will be a little easier once I have both a newborn and a 14 month old! I know all of these things are normal, but I feel like I should never accept them as okay. I think what you are doing for that age is very appropriate. Great job! Great post, Lisa! !! This is something we believe in very much. I agree with you that we have to show them respect. If we don’t model it for them, how will they learn? It saddens me to see so many parents not teaching their children to respect the parental authority. This post really struck me. My husband is you youth pastor in an inner city. We encourage the teens in the youth group to treat not only the leaders but also their peers with respect. So often we have kids that don’t have that respect for others already ingrained into them. 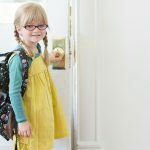 But this post really hit home for me because we have an almost 4 year old and almost 2 year old. Respect and manners is huge for our family. Where I am struggling is how to explain to our oldest how to “honor” mommy and daddy with her words and actions. She understand being kind, but the consept of honoring us I think is a little hard to grasp. Any advice? Love this Lisa!! Any advice for the toddler years? My twins just turned 2 in December and they are still barely talking. So most of their expression at this point is physical. One of my twins turns to hitting as his expression. Any advice on how to deal with this age appropriately? It’s especially difficult when we are out in public such as at the grocery store by myself with both of them. Striking at mom for a 2 year old is fairly normal, just not acceptable. 🙂 A couple of things come to mind: a gentle and yet firm reminder that this is NOT okay. When I remember that my 2 year-old is reaching out to find the security set in boundaries, it helps my own resolve to be firm. I love it!! I think respect is becoming a lost trait in our generation, especially from kids towards adults. A lot of kids in our neighborhood are casual about how they speak to adults, calling them by their first name and speaking as if they were adults themselves. This drives my husband crazy and so we are more careful about teaching our children how to speak to other adults and using proper terms to address them (mr and mrs, aunt and uncle, etc.). Thanks for posting!! Yep! We’re a big fan of addressing adults with respect (Well, and others too, but you know what I mean!). Thank you so much for your post! I was wondering, what do you do to encourage respect from your children of you outside the home, like when they’re with their friends and talking about their parents or family (and you’re not necessarily there)? That’s such a good question! I never thought to cover that one, but it’s as important as the others. We do emphasize that respect includes behavior/speech outside the home as well as inside. “Honor” is appropriate in all contexts, right? So we ask our children to keep that in mind when they’re out with friends and we’ll talk about their conversations together when they return (when younger ones, especially). Closely related, I’ve assured our children that I will always speak lovingly about them with my friends too – that they don’t need to worry about what I’ll say about them when they’re not around. Not that I haven’t confided in a friend because I have, but I try to be careful that I don’t do it in a way that would be shameful or embarrassing. I like what you said about reassuring your kids that they don’t need to worry about what you’ll say about them when they’re not around. That’s so important too, and thinking back, I can remember that my mom would talk about that with me and my siblings as well growing up. I love having that inner family trust with every person in the family. Thank you for your response! Lisa, as I read just the title, the first thought that popped into my head was that a generation or two ago, this topic wouldn’t ever even come up in a discussion. Today, it is more than tolerated – it is accepted as normal behavior. Oh, that we would teach our children differently! One of the things I appreciate about yours and Matthew’s blogs so much is that you aren’t afraid to tackle the tough subjects. Thanks for challenging us in love. Blessings to you and yours. Thanks for you encouragement and support, Heather! Something I always appreciate about you! I’m constantly amazed at your wisdom, Lisa. I don’t comment often, but read most of your posts here and find lots of goodness! Thank you for sharing Jesus. Very well said. I so appreciate your blog posts and your husbands. Your family is offering a much needed voice to our world today. God bless you. Yes! This is something we struggle with but I have really been working on. Thank you Lisa! I really like what Christy said below, about how it’s worth the energy investment to teach your children to respect you because it IS an investment and takes both time and energy! Lots of it. Stand strong, dear friend! You can do all things through Christ who strengthens you, (Phil. 4:13)! Thank you for this one! I struggle with this to an extent. My 2 teens do fairly well but my husband, who I love with my whole heart and respect with my whole being, is not one to teach our children to respect me. He thinks I need to be the one who corrects all their unacceptable behaviors. I want to do better at showing my children love and respect in my attitude because I have a quick “no thinking” response habit. I’m trying really hard to stop and pray before I react in every situation so that God uses my mouth for His honor and glory. I feel that this is such a huge issue in our world so today I want to focus on praying not only for my own family but for every parent who is teaching a child or children how to behave. Thank you Lisa for being bold in Christ. You are a blessing in my life. It’s certainly harder to be the main one doing the correcting with your children. It can be wearying and discouraging! But take heart, Angie, you’re doing a good work! And God will bless you for your efforts and give you what you need to do the work He’s called you to do (and I’m stopping right now to pray for you!). I like the “try it again” method, too. I would always refuse to hear my kids until they spoke to me in a respectful tone -body language included. Teaching respect is a good place to invest a lot of energy! Amen Christy! And thank you for your blessings in my life. A very good place “to invest a lot of energy”! So true. Oh I see so much of this kind of disrespect, and its usually responded with a parent rolling their eyes, or making some comment that tells the child they’re annoying to be around. Ive been struggling with my nine year old a bit lately but its more grumpiness than disrespect most of the time. My husband has told the kids that disrespecting Mom is not allowed, and if it becomes a problem during the day when he’s at work, he will drive home and deal with it….whoa! We love the ‘try it again’ method, and it once took my daughter a full hour to get it right. I caught her one day saying something in a sassy tone to my Mom, and then there was absolutely no second chances on that one. Great topic Lisa! As a former high school teacher, I know that if you allow your cute, young kid to treat you this way, they will treat you that way and worse when they are teenagers. And that is an age when you want them to respect you and your rules/guidance that you have laid out for them. Now that’s the truth! Not that we don’t have to occasionally remind our teens on how they’re to talk to us, but the hardest part is behind us which makes for good years now.